The special situation has arisen because of Indian infrastructure financier-operator IL&FS Group’s sudden $12.8 billion bankruptcy. Analysts who believed the tremors would reach other shadow-banking entities like Dewan Housing Finance Ltd. were half right. Yes, Dewan’s loan disbursements fell 95 per cent from a year earlier in the December quarter amid pressure on the mortgage lender to deleverage. But the shock waves have now spilled beyond finance to reach the glamorous world of television content. Subhash Chandra, the founder who controls 41 per cent of Zee Entertainment Enterprises Ltd., is putting half his shares on the block after making wrong-way leveraged bets in unrelated industries such as infrastructure, a mistake the tycoon acknowledged in an open letter on Friday evening. Although the stake-sale plan has been known for a while, the official explanation so far was that Zee wanted a partner to become a “global media-tech player.” It’s clear now that the real reason is the debt load of Chandra’s Essel Group. BloombergQuint estimates the burden at 170 billion rupees ($2.4 billion) across 87 operating companies as of March 31, 2017. Zee, where I worked briefly in the 1990s, is a content powerhouse with a 20 per cent share of India’s traditional television viewing market. 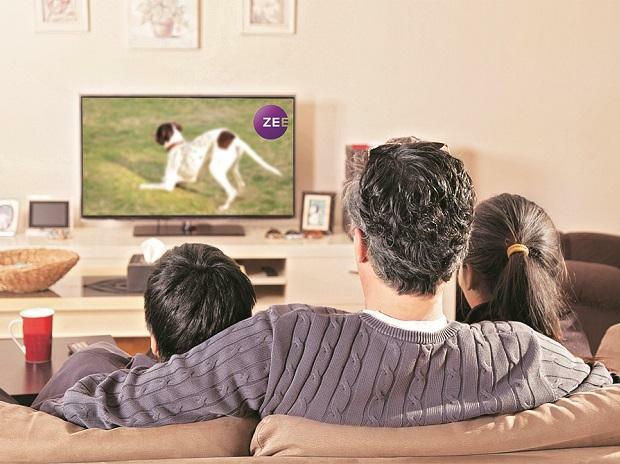 The network also boasts 35 per cent Ebitda margins despite heavy investment in Zee5, a fast-growing digital app. There’s no confirmed bidder yet, but according to a report in the Business Standard, Zee may be of interest to Amazon, Apple Inc., Tencent Holdings Ltd., AT&T Inc., Singapore Telecommunications Ltd., Comcast Corp. and Sony Pictures Entertainment Inc.